Maeve Binchy’s novels appeal to some deep need for tidiness. The stories are all different, but they have the same structure: a lot of characters facing various problems share some connection; one of the characters sorts all the mess and solves the problems; the characters and the reader go away happy. These books provide the same satisfaction as the vacuum cleaner ads where the salesman dumps a huge pile of dirt and debris on the lady’s carpet and then vacuums it all up, leaving the carpet pristine. Nights of Rain and Stars follows the same pattern, but is not nearly as satisfying as her other novels. The story involves four travelers visiting a Greek island who are drawn together when they witness a tragic accident. They all have problems and the problems all get sorted. But the book doesn’t live up to the Binchy model because nearly all the characters (three of the visitors and two of the locals) have the same kind of problem – a broken relationship between a parent and child. Because the problems are the same, the discussions are the same, and the solutions are the same. It makes the book repetitive and boring. The only character who does not have a parent/child problem is the German television reporter conflicted over her sexual relationship with her boss. But that conflict is so muddled, it is difficult to tell what the problem is or what she wants. That plot line adds too little to shore up the rest of the story. The romantic setting and solid storytelling are probably enough to satisfy diehard Binchy fans, but Nights of Rain and Stars is not her best, by a long shot. If you would like your review of this or any other Maeve Binchy book listed here, please leave a comment with a link and I will add it. 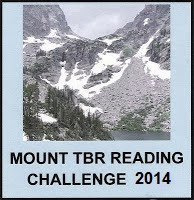 Nights of Rain and Stars counts as one of my books for my personal 2014 TBR challenge, the Mt. 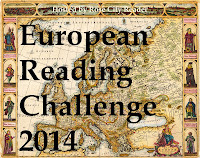 TBR Challenge, and the European Reading Challenge. Aw, too bad. I haven't read Binchy in a while but have enjoyed the ones I've read. How disappointing! 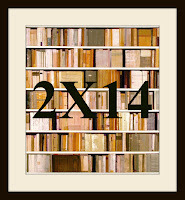 I've read other Binchy novels and enjoyed them, though I'll admit that the last couple were a little bit predictable. I did read this but it was some time ago. I love her books - they are such comfort reads. I like your comparison to a vacuum sales demo! I've only read 2 of her books - this one, which I loved for the setting. It was the first book of hers I'd read and thought it was a bit formulaic. The only other book of Binchy's I've read is The Builders, a long short story, or a novella. It’s part of the Open Door series written by Irish authors for adult literacy learners, so it’s a quick read. It took me about 30 minutes to read it and I was amazed at how much detail and characterisation was packed into its 87 pages and in such a simple, direct style.